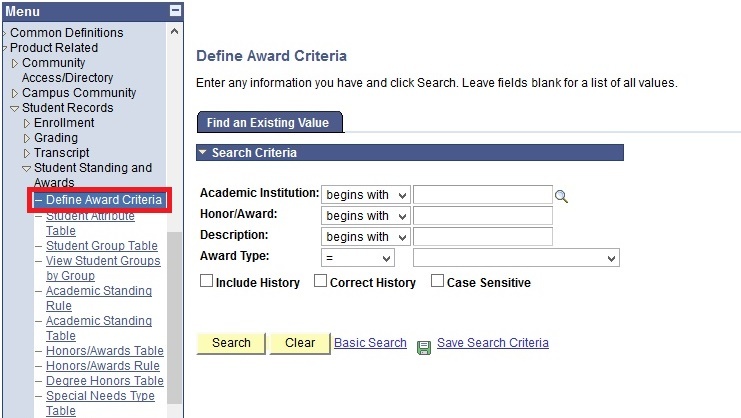 This function allows the users to view the Award Criteria. Click onto the Honor/Award Code link to view. 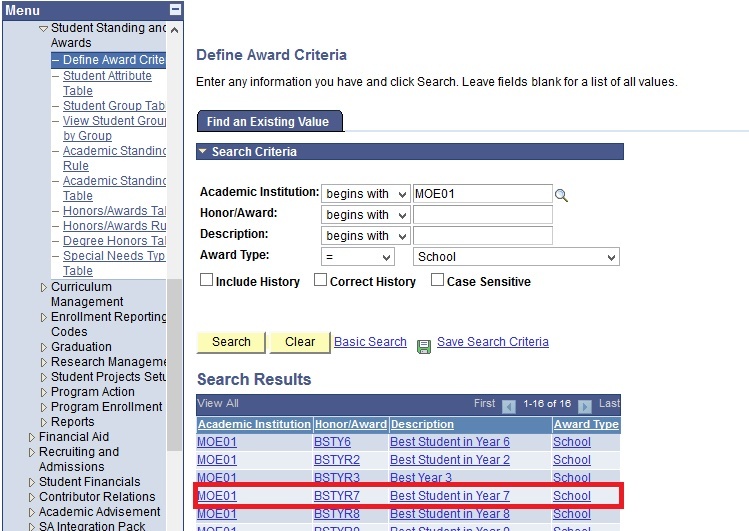 User will be able to view the Award Criteria Details.